Let the New York Times have its hot takes about brunch being for jerks... the midday meal remains a DC institution. 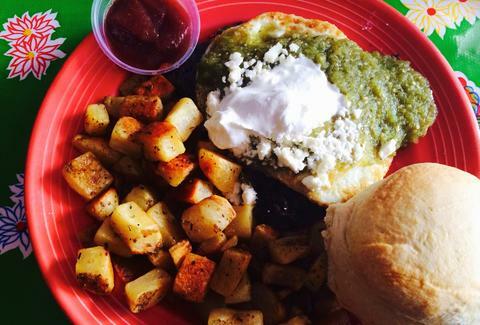 Load up your first few weekends of 2015 with these seven new brunches. Some are from completely new restaurants, while others are new takes from seasoned brunch veterans. Let’s cover the important stuff first: how to get free booze. 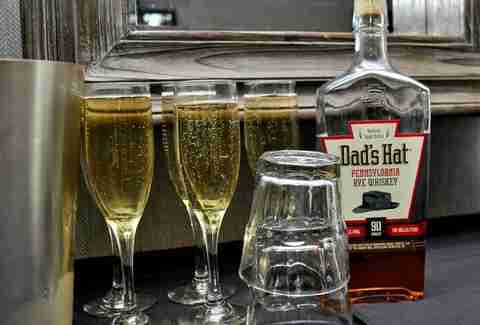 Show up to the Pennsylvania-themed restaurant’s "Stately Affair" Sunday brunch dressed real nice and they'll pour you a free glass of Veuve Clicquot or Dad’s Hat rye. More of a straight-from-yoga bruncher? There’s a "Kale Mary" for that, but you have to pay for it. Food wise, you’re noshing on Bananas Foster French toast, duck leg confit hash, scrapple Benedict, a breakfast burrito, or a foie gras burger to go with that Veuve. Sun, 10am-4pm. 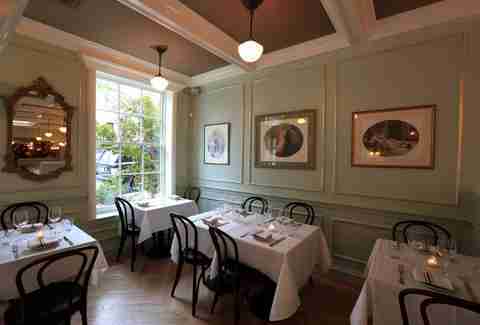 The new Georgetown offshoot of Petworth’s Chez Billy has the kind of South-of-France charm you should save for a first date situation. Make a good impression by ordering the cinnamon roll to start, because it’s covered with Nutella-mocha frosting. Then onto a gooey croque madame; decadent crabcake Benedict; or brioche French toast paired with simple brunch drinks done right. Things can only get better once temps warm up and brunch can be devoured in the restaurant’s courtyard. Sat-Sun, 11am-2pm. Logan Circle’s beloved corner pizza place finally decided to try its hand at brunch toward the end of 2014. 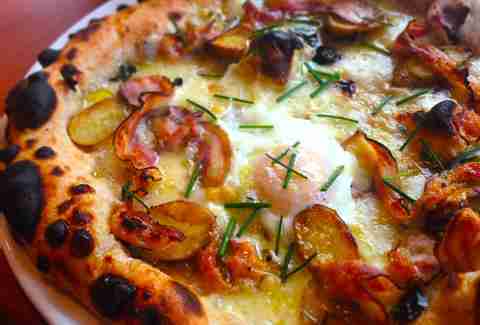 Sure, there are other things on the menu like yogurt and granola, but when it gets down to it, you and your companions are each ordering a bacon & egg pizza as if it was of the personal-pan variety. It’s that good. Wash it down with strong espresso or a Bloody Mary boosted by the flavor of anchovies — the restaurant’s beloved flavor blaster. Sat-Sun, starting at noon. 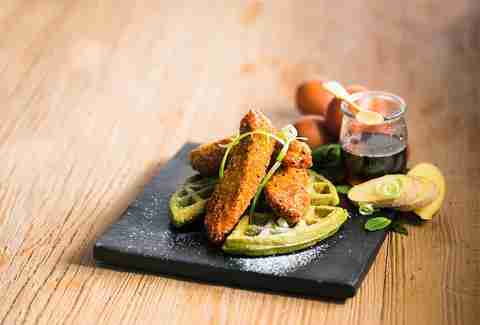 You’re looking at sesame-crusted fried chicken napping on a bed of matcha green tea Belgian waffles coated with lemongrass and ginger. The dish is part of Ping Pong Dim Sum’s recently launched "East West Brunch," which goes way beyond dumplings to offer brunch munchies that fuse Chinese cooking with the classics. The $36 unlimited menu includes egg & cheese breakfast spring rolls with five-spice tonkatsu sauce; Shanghai shrimp and grits; mango black tea French toast; and deconstructed mimosas made with popping pearls that look like they’re from the future. Sucker for traditional dim sum? Don’t worry, carts will roll by, too. Sat-Sun, 11:30am-4pm. Cashion’s is not new to the brunch game — they’ve been turning out impressive weekend grub for years. What IS new is their approach to brunch beverages. Not everyone is a mimosa or Bloody Mary person, after all. 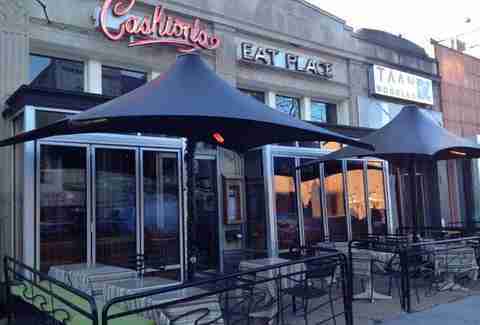 Cashion’s Eat Place recently launched a Craft Beer Brunch at the bar. Try General Manager Dustin Beruta’s rare beer pick alongside any brunch entrée for $20. Recent picks have included Straffe Hendrik's Wild Tripel and Mother Earth Brewing's Old Neighborhood Oatmeal Porter. Sat-Sun 10:30am-2:30pm, BAR ONLY. H Street is blowing up, and of course that leads to more brunch options, like DC Harvest. Brunch does tend to lean a little healthy here, so maybe this is your pick if you passed out in a pile of Dangerously Delicious Pies the night before. Scrambles made from organic eggs are your best bet, because they incorporate either spicy lamb sausage, seasonal mushrooms, or smoked bacon. 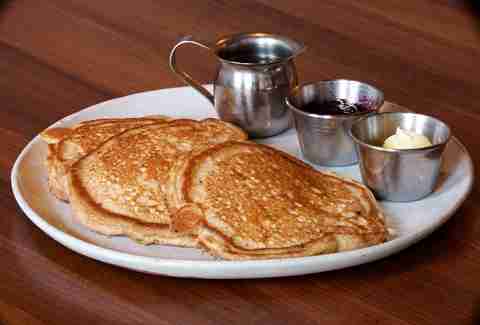 Also try spelt buttermilk pancakes with a seasonal fruit compote and sorghum syrup. Sat-Sun, 11am-2:30pm. The brunch menu at this new Washington Harbor restaurant is short, simple, and mostly French. Try a savory crepe stuffed with Brie cheese, honey mustard, apricot, fresh greens, and hazelnuts. 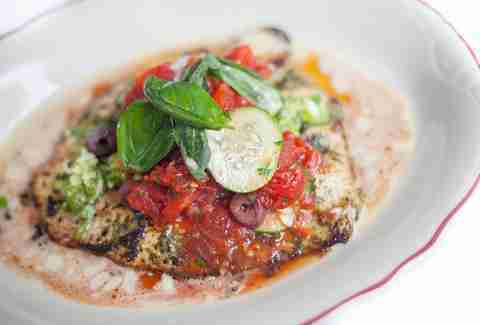 Or try an elegant omelet with herb cheese and heirloom tomatoes. Mama Rouge is fusion food after all, so you can also snack on scallion & crab pancakes with a fried egg, Sriracha & mint, or a ham & cheese bánh mì. You better believe there’s a Sriracha Bloody Mary waiting for you. Sat-Sun, 11:00am-2:30pm.